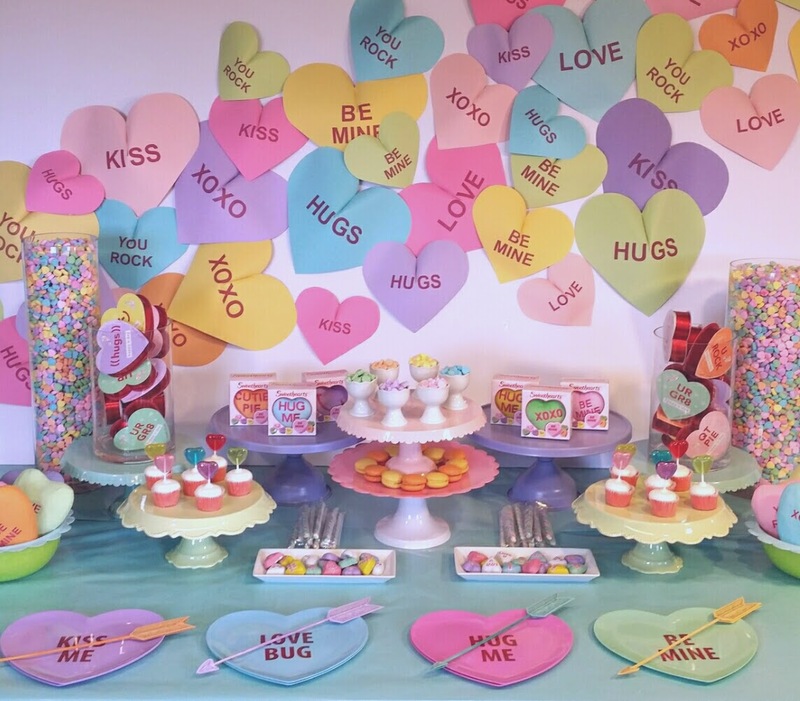 Below is our Conversation Heart Candy Buffet. 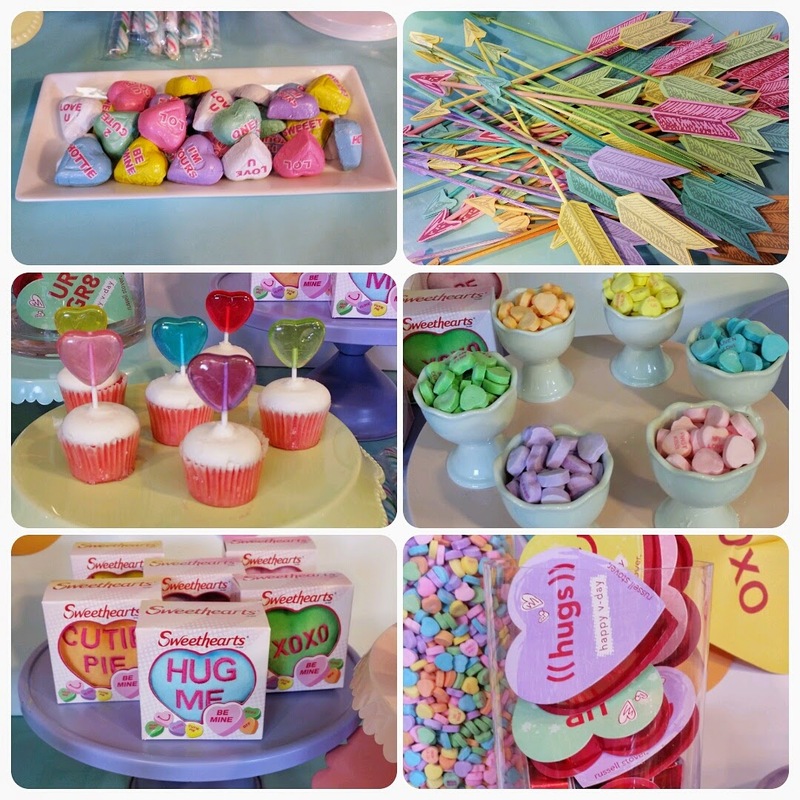 I was inspired to create the buffet around the six beautiful colors found in the conversation heart candies. 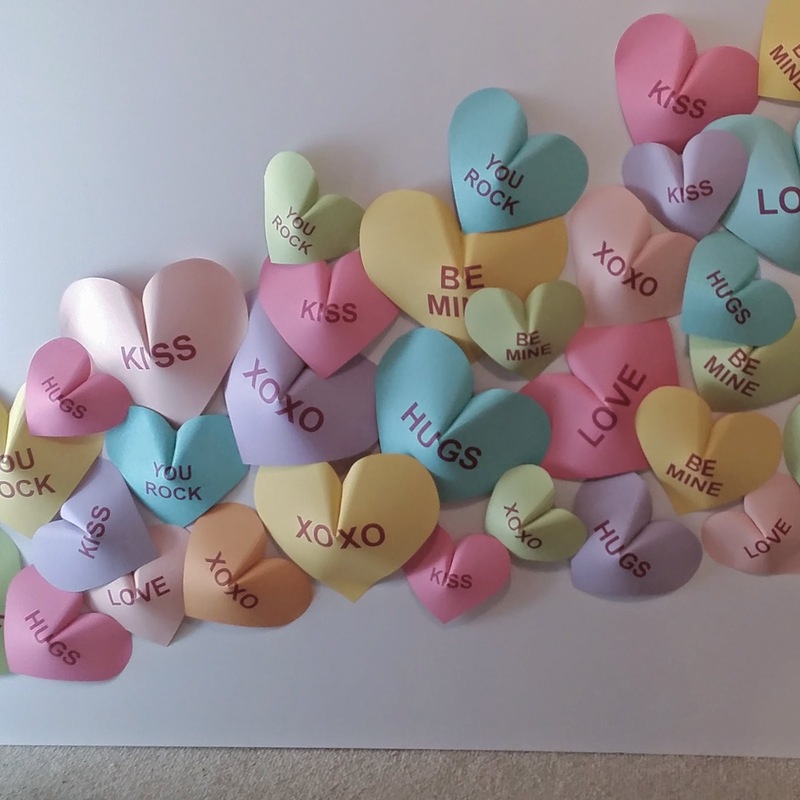 The dimensional backdrop was made with cut paper hearts printed with iconic conversation heart sayings. Some details of the buffet include wrapped chocolate conversation hearts, Cupid’s arrows, mini pink velvet cupcakes with heart lollipops, mini cups of conversation hearts, plush conversation heart pillows and mini conversation heart shaped boxes of chocolates. This entry was posted in Conversation Hearts Party, Valentines Day Party on February 12, 2015 by Setting the Mood.